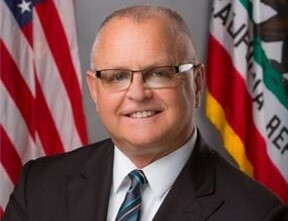 SACRAMENTO- Assemblyman Tom Lackey (R-Palmdale) introduced a bill this week that would allow individuals the ability to pay for their vehicle registration fee in monthly installments. The average vehicle registration fee in California is $246, and owners are required to pay the fee in full by its midnight deadline. After a month of deferred payments, a motorist faces up to $100 in fines and those fines continue to rise until payment is made. This disproportionately affects low-income families and individuals, Lackey said. The Franchise Tax Board (FTB) estimates that of the nearly 33 million vehicle registration renewal notices issued every year, about 3.73 million vehicle registration accounts will become delinquent. When those registrations lose accreditation, the FTB initiates automatic bank transfers from the debtor’s account and the FTB takes the wages until the debts are fully repaid. “If a person can’t afford to pay their car registration on time, the state should not be taking people’s cars to compel payment… The state needs to find a way to help poor people afford to pay their registration as proposed in AB 461,” stated Mike Herald from the Western Center on Law and Poverty. AB 461 aims to allow monthly installment payments, and through the DMV, shows support for individuals that need the most help, according to Lackey. 10 comments for "Assemblyman Lackey aims to make vehicle registrations more affordable"
The State needs to reduce the amount of fees charged for vehicles as they age as they used to. The current fees are too high for the average retiree. Where does Tom think the vehicle owner is going to get the money to pay in installments when the owner is struggling now? Michael rives…Being a grateful person on a fixed income (poor), owning a car is rather expensive. I have a 2008 Malibu with no payments, but I still have to pay for gas, smog tests every two years, registration, and insurance, also maintaining my car’s upkeep. This isn’t a political party issue, although politicians want a person to think they have their back. Most people live with enormous debt because it’s human nature to want nice things, and pay for it later. There is much more involved than this particular issue. … we had proposition 6 on the ballot, to repeal Governor Moonbeam’s gas tax, and his abusive tax hike on our annual vehicle registrations. But, his bestest little buddy Xavier Becerra perpetrated a fraud, by manipulating the wording on the prop-6 ballot initiative, from a gas tax repeal, to something no one would ever vote for. In bold letters no less, Becerra fraudulently manipulated the title of proposition 6, to the bill to “eliminate road repair and transportation funding.” California voters never knew a no vote would lower their vehicle registrations and the price they paid for gas. Your bills have no chance of survival. Minimum accomplishments and all for the far right support you represent Mr. Lackey. Out of touch and always very partisan!! No Thanks. That’s what the reactionary voters of the AV have demanded for decades; representatives who go to Sacramento (or the LA County Board of Supervisors) and sit at the kids table accomplishing nothing. Stupid gets what stupid deserves. Have you noticed on the flip side, when the republicans were in the majority for 2 years including here with Steve Knight, they never stopped complaining? They had the Congress, White House and the Supreme Court and, yet, they whined and whined some more. It appears that this country is run by voters who are miserable no matter what simply because they reliably get out and vote. Not wisely but reliably. Are Lancaster voters happy with their city? With what….the blvd….Sierra Highway….rex? Are Trump voters happy with countless investigations? They must have gone in knowing that he was as dirty as they come and proud of it. Now they whine about the coup d’état bs. Who could possibly be happy with neighboring Devin Nunes and his pathetic time as Chairman of the House Intelligence Committee. His name and the word intelligence shouldn’t be in the same sentence. But, alas. You can count yourselves in on the whining too. Your not happy with Hofbauer, Carrillo, Bishop, Loa. The entire Antelope Valley is corrupt according to you. There’s always something you’re not happy about. Waaaa, now you don’t get your high speed rail either, that the voters voted on. How about bill to lower the price of vehicle registrations? We have a 15 billion surplus in Sacramento. The State can certainly give a rebate in the form of lower registrations for a while at least. Paying installments is nice, but, if you cannot pay in full, you are probably strapped like most of us and still will have a problem paying. Besides that, the current vehicle fees are highway robbery, if you will excuse the pun! I think this is a great idea! We have the highest registration fees in the nation.. If the voters in California would do a little research before voting we would have repelled the Prop 6 gas tax.